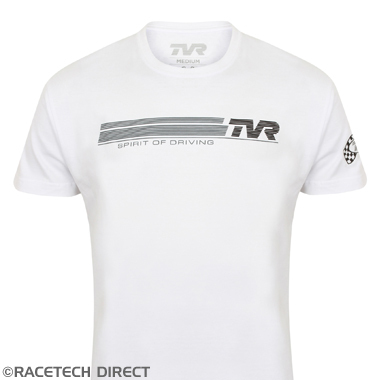 TVR "Spirit of Driving" T-Shirt (WHITE). 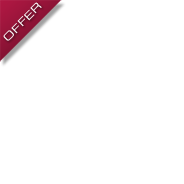 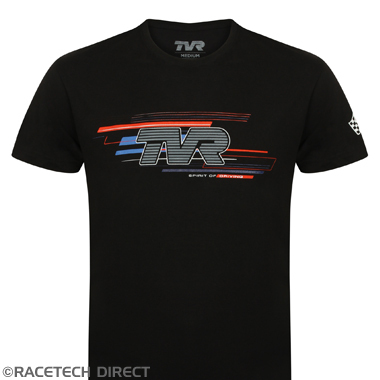 This is part of the Spring / Summer 2017 TVR Official Merchandise collection available to purchase from Racetech Direct. 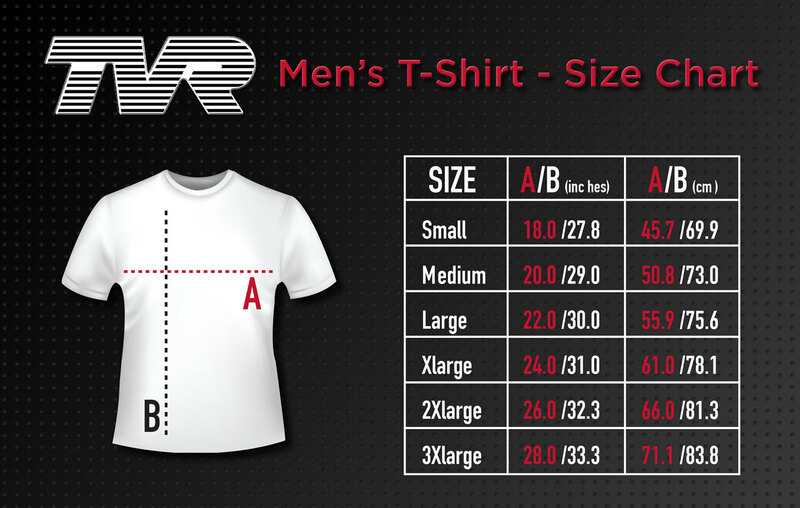 This is a short sleeved 100% Cotton T-Shirt. 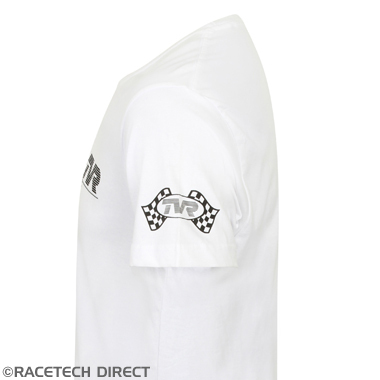 The front and left sleeve are printed as shown with available sizes in S, M, L, XL and XXL. 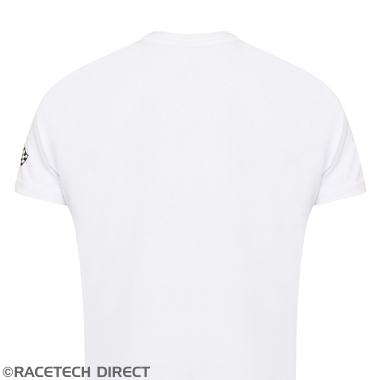 Great quality and detailing. 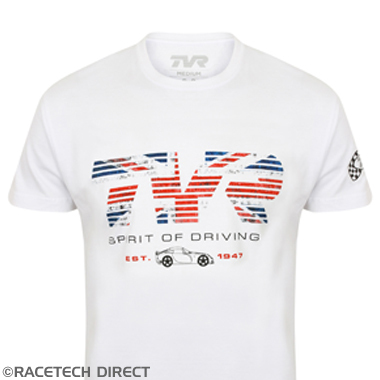 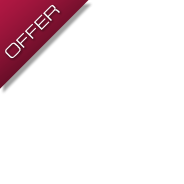 Check out our full range of T-Shirts and Baseball Caps.